Cal and Demi are preparing to launch their beloved Kilhallon Resort as a wedding venue. Cakes are baking, Cornish flowers are blooming, and fairy lights are twinkling. With the cliff-top setting and coastal views, it's the perfect place for a magical marriage ceremony. But their first clients are no ordinary couple. The bride and groom are internationally famous actors Lily Craig and Ben Trevone. Kilhallon is about to host a celebrity wedding . . .
With the pressure on, Demi and Cal are doing all they can to keep their guests happy and avoid any wedding disasters. But is the unpredictable weather the only thing standing in the way of the Big Day? As secrets surface and truths are told, can Demi and Cal ensure that Kilhallon's first wedding is a success? One thing’s for sure, this will be a Cornish celebration to remember . . .
Review: This is the third book in The Cornish Cafe Series from Phillipa Ashley. 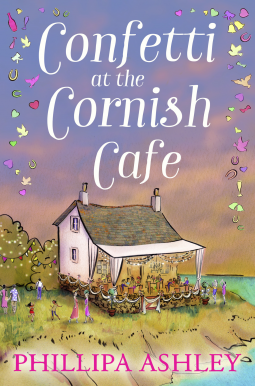 When I picked up the first book in the series, Summer at the Cornish Cafe, I had no idea how I would be drawn into the story and the lives of the characters therein. All of these books have proved compelling reading, and I have been aching to read this final chapter since I read the last word of the previous 'instalment'. Fortunately, Phillipa had the foresight to provide a helpful prologue to remind readers of what had gone on before, or to inform anyone who had missed the first two books of relevant history. That and reminders within the text as the story progresses make this book easy to read as a standalone. In this third part of the story, we continue to follow the ups and downs of the main characters, Cal and Demi, as they work together to return Cal's family home and holiday complex of Kilhallon to their former glory. As part of the renovations, an old barn has been converted into a cafe that sounds a lovely, cosy location in which to enjoy a refreshment and soak up the spectacular view. As in previous parts of this series, we are treated to wonderful Cornish scenery, cream teas and other mouthwatering goodies in addition to the rest of the action. The problems and triumphs that the central characters meet along the way this time include staging a celebrity wedding ceremony to eclipse all that have gone before. Can everything be ready in time to the exacting requirements of the bride and groom? At the end of the book, Phillipa has added a few recipes to enjoy, including some delicious sounding cocktails and desserts. I have found all of these stories really enjoyable. 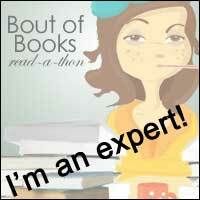 They are full of absolutely believable characters, most of them lovely, but a couple of them purely evil. The Cornish coastal setting is, of course, quite magical, and so well described that I could almost imagine myself swimming in a beautiful Cornish cove. This book would make lovely summer reading, but I would recommend reading all three in the trilogy. I know I am going to miss Cal and Demi.